Experience first-hand the majesty of Alaska and meet the people. Alaska comprises 591,004 square miles of some of the most diverse and spectacular landscapes in the world. It is a vast territory, almost a fifth the size of mainland USA, or to put it in a worldly perspective, it is as large as the combined areas of England, France, Spain, and Italy. Nature has painted this landscape with broad strokes, majestic mountains, awe inspiring fjords, massive glaciers, dense forests, and open tundra. Here you will find 17 of the 20 highest peaks in North America, with Denali (Mt. McKinley) towering to 20,306 feet. Over 100,000 glaciers cover 28,000 miles of territory. Alaska is home to the largest population of brown and black bears in the United States. It is also home to moose, caribou, musk ox, Dall sheep, black tail deer, wolves, and fox as well as a variety of small mammals. Over 90% of all bald eagles in the United States call Alaska their home. 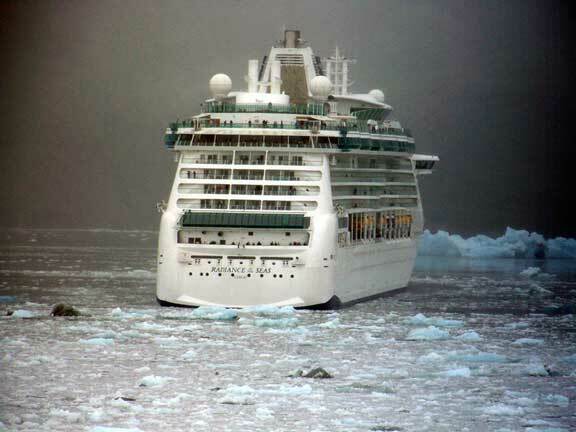 Alaska - Roundtrip: These are cruises that begin and end in the same port city. They are very popular because they are often 7 days long and leave from either Seattle or Vancouver which both offer a number of affordable flight schedules for the cruise passenger. 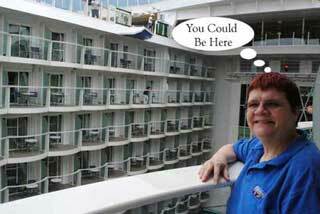 Click Round-Trip Alaska Cruise for details. Alaska - Northbound: These are one-way Glacier Intensive cruises. They begin in Seattle or Vancouver and cruise North to Anchorage/Seward. Click Northbound Alaska Cruise for details. Alaska - Southbound: These are also one-way Glacier Intensive cruises. They begin in Anchorage/Seward and cruise South to Vancouver or Seattle. Click Southbound Alaska Cruise for details. Alaska - Cruise and Land: This is the most popular way to see Alaska. These cruise/tours give you the opportunity to combine an Alaska Cruise with a scenic land tour that takes you into the Interior of Alaska. These are the packages that often include the domed cars of the Alaska Railroad to Denali National Park and Mt. McKinley. 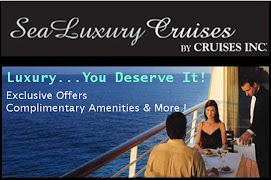 Click Alaska Cruise Tours for details. Carnival Legend emerged from a 14-day dry dock this weekend with a new look. A variety of enhancements were made, including a renovated children’s pool area, and the addition of Serenity, an exclusive adults-only retreat. 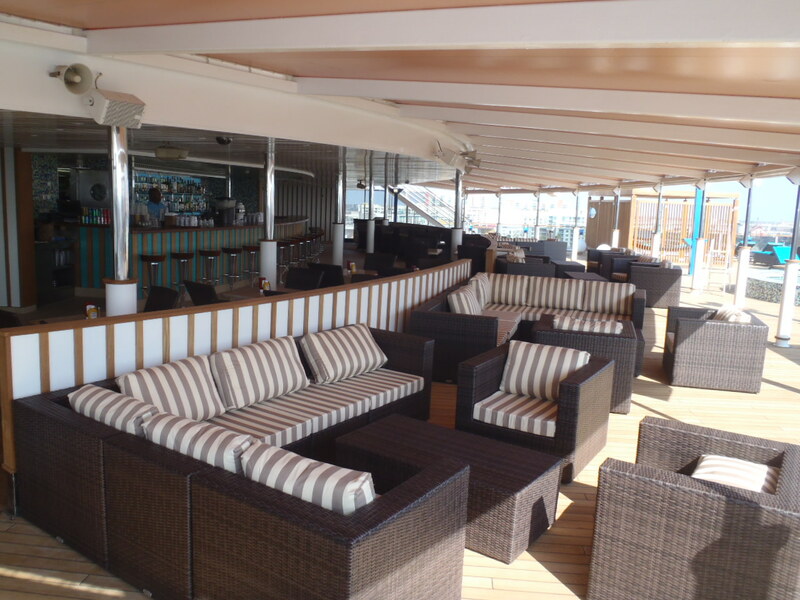 Carnival Legend became the 13th Carnival ship to feature a Serenity area. 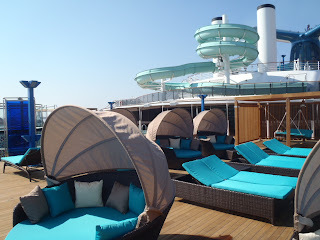 Designed as an oasis for tranquility and relaxation, Serenity offers colorful, oversized umbrellas, comfortable chaise lounges and chairs, whirlpools, a full bar and breathtaking sea views. 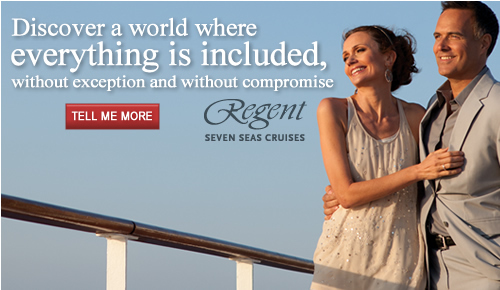 One of the great benefits of a cruise vacation is there is something for everyone. For adults, it is good to take some time and get away from the everyday routine and unwind. There is no better place to do that on a Carnival cruise ship then in this adult-only area. Whether you want sun or shade, there are comfortable chairs and chaise lounges. Read a book, sip your favorite beverage, take a dip in the whirlpool, or simply catch some Zzzzzzzzz's - the choice is completely yours. And, there are no kids to disturb you. The ship’s children’s pool area now features colorful new tiles in vibrant sea-animal designs, while the casino has been reconfigured with additional slot machines and poker tables. Other enhancements include new upholstery and chairs in the Lido restaurant, dining room and dance club. Carnival Legend sails to the Caribbean on year-round seven-day sailings from Tampa. 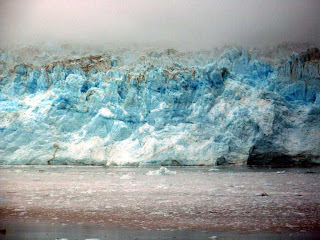 What does Disenchantment Bay, Hubbard Glacier, and Cruise Ships have to do with Harbor Seals? 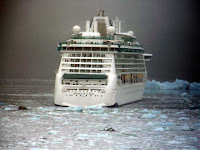 We are approaching the start of the 2011 Alaska Cruise Season which begins in May and continues through September. Peak cruising season coincides with the pupping and molting seasons for harbor seals in Alaska. The National Marine Mammal Laboratory, which is part of NOAA's Alaska Fisheries Science Center, conducted a study of the impact of cruise ships sailing in Disenchantment Bay, which is where many harbor seals hang out on ice flows during this time of year. While there have not been any changes yet, additional restrictions may be imposed in the future to protect the seals. The study placed several possible regulations on the table that could force cruise ships to make some changes. Ships may be required to stay at least 500 meters (about 540 yards) from the seals and carry trained observers to aid in selecting routes that don't disturb seals. 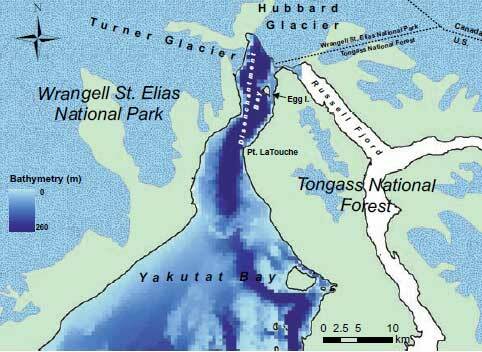 A total exclusion of cruise ships from Disenchantment Bay is also not out of the question. Some Alaskan waters, such as Johns Hopkins Inlet in Glacier Bay, have already been made off-limits to cruise ships during the summer months to protect seals. 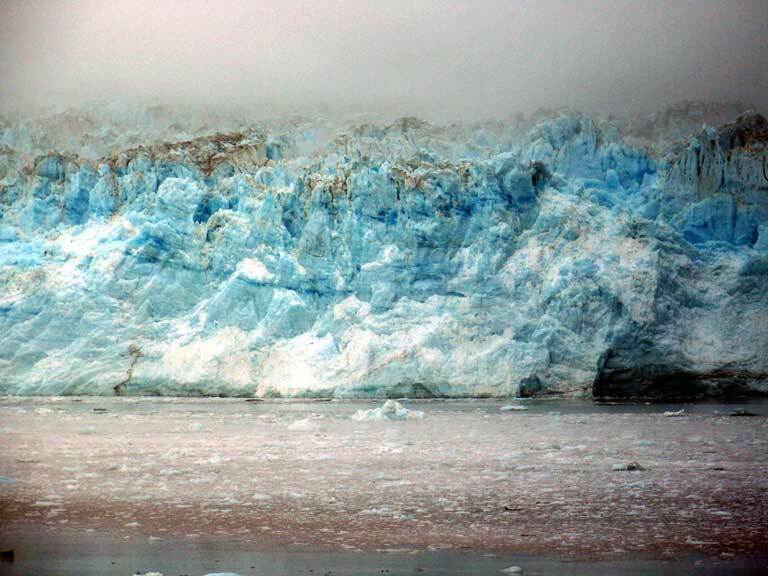 As many as five ships a day sail in Disenchantment Bay for closeup views of Hubbard Glacier calving. Many ships already follow self-imposed limits to protect the seals. The impact of cruise ships on seals has been a concern throughout Alaska for some time. In 2009, ships entering Glacier Bay were urged by park officials to stay at least a quarter-mile away from harbor seals. "When disturbed, the seal pups can be separated from their mothers, with potentially fatal consequences," the alert stated. 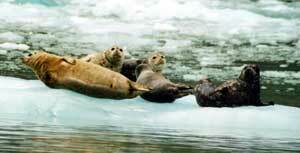 "Disturbances by passing vessels can also stress molting seals and impact their health." This year there will be approximately 150 cruise ships from seven cruise lines sailing to Hubbard Glacier. Hopefully the scientific community, Yakutat Tlingit Tribe members, representatives from the cruise industry, and other government agencies, can find ways to protect the harbor seals, while preserving one of the most impressive aspects of an Alaskan cruise - glacier cruising. This photo, courtesy of Mazatlan Tourism, paints a beautiful, serene, image of this coastal town. However, in recent months, violence has caused cruise line executives to carefully weigh making calls in Mazatlan. We first brought you information about cancellations in January: Cruise Lines Pull Out of Mazatlan After that, some cruise lines did return to Mazatlan, after being assured by tourism officials that security had been increased, but continued to monitor the situation. Norwegian Cruise Line cancelled the Norwegian Star’s calls to Mazatlan, Mexico, through April and Carnival Cruise Lines’ Carnival Splendor cancelled its Feb. 24 call. Carnival is still monitoring the situation before making additional modifications. According to the Associated Press, two men, who were not tourists, were shot to death in the parking lot of a hotel located in the tourist zone. There have been reports that passengers on the Norwegian Star heard the shots. We too will continue to monitor this situation and bring you any updates. A cruise vacation is fun for the entire family. With Royal Caribbean's award-winning Adventure Ocean® youth program, children love their Royal Caribbean cruise vacation as much as their parents. The college educated Youth Staff have developed age-appropriate curriculums to engage and entertain kids of all ages, along with partners such as Crayola® and Fisher-Price®. Royal Babies and Royal Tots, ages 0-3, will enjoy activities designed to foster parent/child bonding and development. Older kids are free to be themselves in Teen Only venues like Fuel Night Club and the Living Room. They'll love it so much the only thing you might wish for is a little more time with your kids. Bunnies and Dogs and Bears...Oh my! Onboard Royal Caribbean ships, it's easy for even our smallest guests to make a new friend at sea. Pets at Sea allows guests to design, dress and name their very own plush pet while on a cruise vacation. 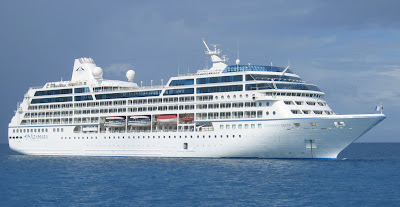 Cruise ship calls at Christchurch, New Zealand, are being cancelled following this week's devastating earthquake, which measured 6.3 on the Richter scale and destroyed large areas of the city and suburbs. At least 65 people have been killed, making this New Zealand's worst disaster in more than 80 years. The suburb of Lyttelton, where cruise ships dock, has suffered infrastructure damage. Our hearts and prayers go out to all the people of New Zealand impacted by this natural disaster. This post provides links to sites with additional information. We will attempt to provide updates to assist those who might be traveling in the region. 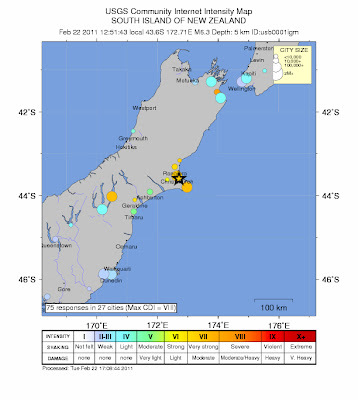 The February 21, 2011 South Island, New Zealand earthquake occurred as part of the aftershock sequence of the M 7.0 September 3, 2010 Darfield, NZ earthquake. 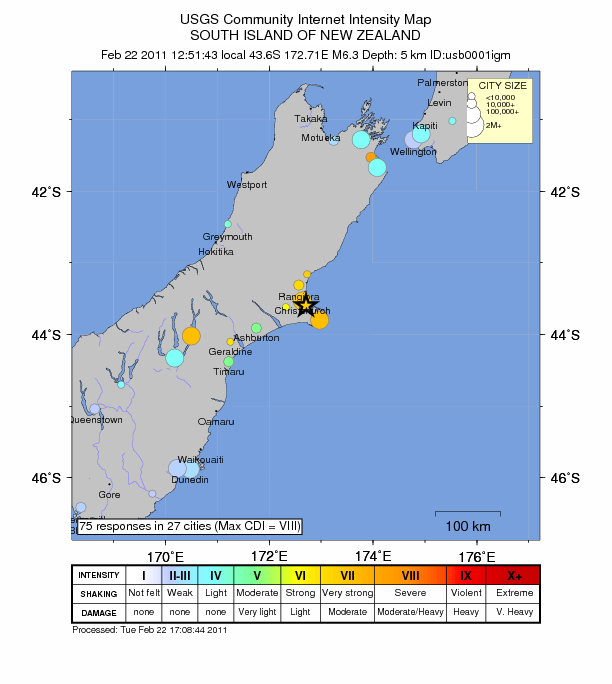 This latest shock is significantly closer to the main population center of Christchurch, NZ, than is the September 2010 mainshock. The February 21st earthquake represents the largest aftershock to date. The National Crisis Management Centre has been activated and a National State of Emergency has been declared (www.beehive.govt.nz). 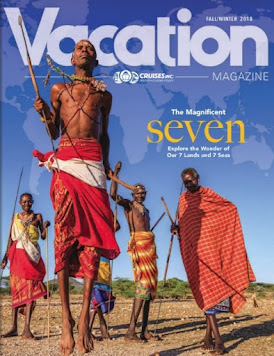 This is the peak season for cruise vacations to Australia and New Zealand. 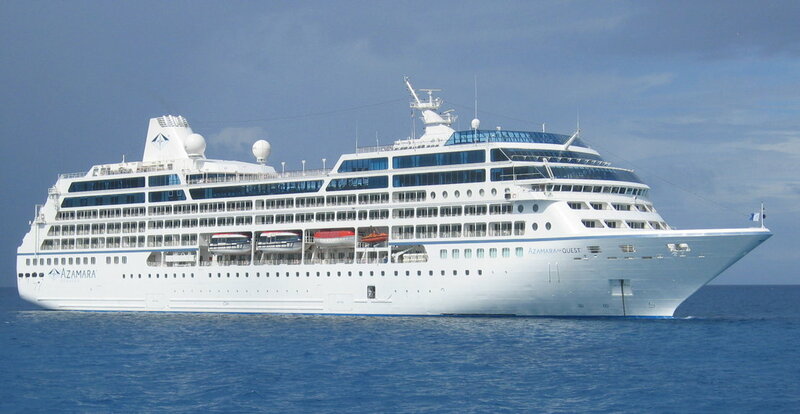 Cruise itinerary changes are anticipated in the wake of the quake. 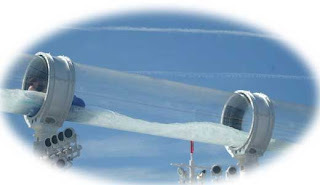 Cruise lines are responsible for health and safety of their guests. Any changes that are made are done so regrettably, but unfortunately become necessary when conditions prevent planned port calls to be made. Lyttleton Port of Christchurch posted the following statement: "The 6.3 magnitude earthquake on Tuesday 22 February caused further damage to Lyttelton Port of Christchurch infrastructure and facilities. Our priority is for the safety of all staff and we can advise that fortunately there were no injuries sustained at the port." Read more on their webpage. 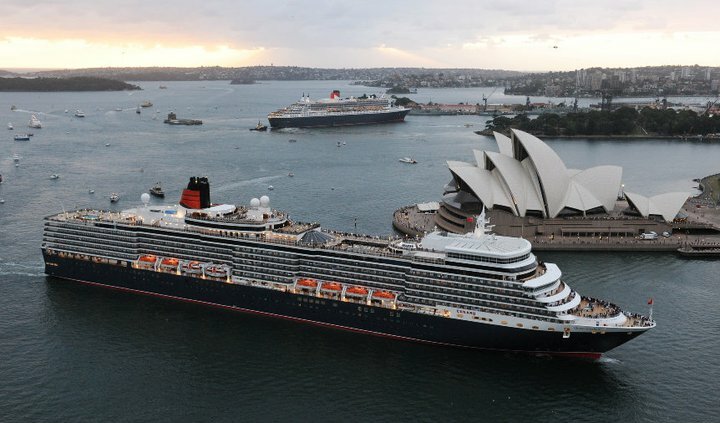 Cunard president Peter Shanks, who was in Sydney for the rendezvous of QM2 and Queen Elizabeth, said (that Cunard would be) "doing all it can to support the devastated port city." Today the Carnival Splendor returns to the seas after repairs in San Diego and San Francisco. After months of being out of commission and millions of dollars in repairs and lost revenue, the Splendor sailed to Long Beach, California, this past week to it's homeport where it begins the first 7-Night cruises to the Mexican Riviera. On this route, the ship departs the Long Beach Cruise Terminal every Sunday on week-long cruises to Puerto Vallarta, Mazatlan and Cabo San Lucas, on Mexico’s Pacific Coast. With the Carnival Splendor’s resumption of service, combined with the Carnival Paradise’s year-round three- and four-day Baja voyages, Carnival Cruise Lines will return to its normal passenger volume from Long Beach, carrying nearly 400,000 passengers a year. “Carnival Cruise Lines continues to be the number one West Coast operator with two ships based in Long Beach year-round, as well as a ship operating seasonal itineraries from San Diego and Los Angeles. We have more year-round capacity dedicated to the West Coast than any other cruise line and we are committed to maintaining our leadership position in this important market,” said Gerry Cahill, Carnival’s president and CEO. 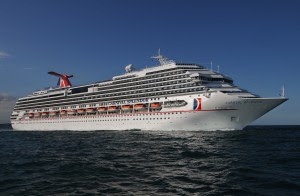 Cahill noted that the Carnival Splendor has been thoroughly inspected by the U.S. Coast Guard and Lloyd’s Registry, a ship classification society, which monitored the repair process during dry docks in San Diego and San Francisco. Political unrest continues to plague the world as Libya becomes the latest country with political demonstrations against the existing government. On Friday opposition forces and government troops clashed causing several deaths and injuries. 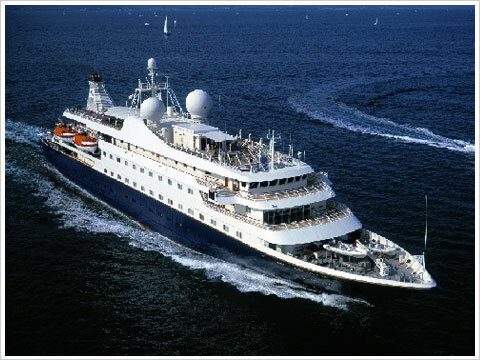 Azamara Quest, one of the line's two 694-passenger ships, will visit Libya's Al Khums and Tripoli during a Mediterranean voyage that begins on Oct. 16, 2012. This will be the only voyage with Libya ports of call. Azamara Club Cruises announced changes in 2010 which include more immersive port visits. 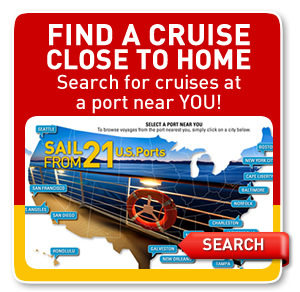 More than half of all their port calls in 2012 will feature late night and overnight stays. The overnight stays make it possible for guest to experience the vibrant nightlife in those ports of call. For the first time ever, Libya will be a port of call this Fall on one of the ships. Crystal Cruises announced that the 1,080-passenger Crystal Serenity will visit the Libyan port of Tripoli during the vessel's 11-night "Italian Splendor" voyage from Venice to Barcelona that begins Nov. 16. The voyage also includes calls in several Italian ports including Naples, Civitavecchia (for Rome) and Livorno (for Florence) as well as Dubrovnik, Croatia. The recent reversal of Libya's longtime ban on American tourists is behind the addition of a Libyan port to both cruise line's schedule. We will want to continue watching Libya as the political unrest could jeopardize these plans. Royal Caribbean's Voyager of the Seas became the first cruise ship to call in the brand new port of Falmouth, Jamaica on Thursday. 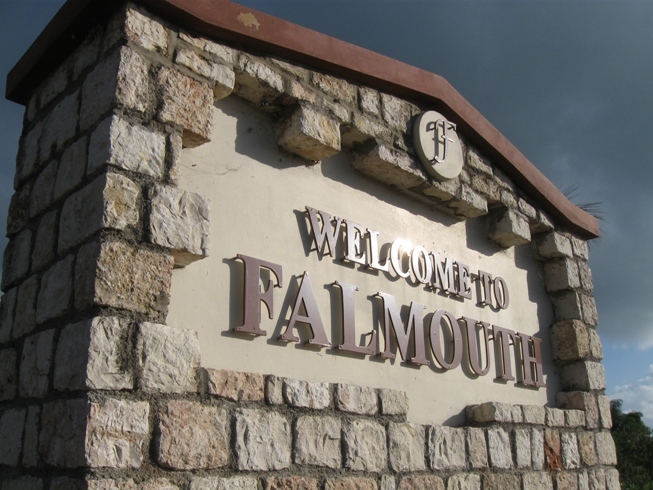 Falmouth was once a significant shipping center during the Colonial England period but later lost favor over the deep-water ports like Montego Bay and Ocho Rios. The town's buildings fell into disrepair and the history of this once important town was threatened to be forgotten. 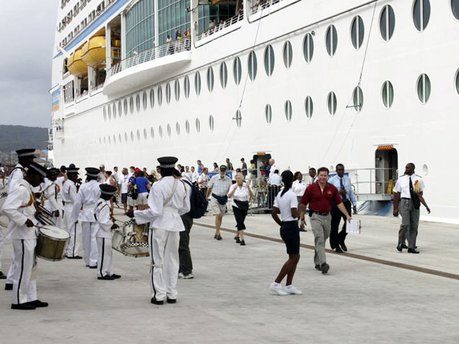 Royal Caribbean International in collaboration with the Port Authority of Jamaica (PAJ), entered into a joint venture to construct an all-inclusive resort town on the pier featuring contemporary shops, parks and landscaping, restaurants and bars, even a helipad, linked to the original town by tram-car and all built to match the colonial aesthetic of times past. The venture has had a rocky road to this point with delays which prevented the scheduled opening earlier this year. The official port opening is scheduled for March 22nd when Oasis of the Seas makes its maiden call on the new port. While doing research for this post, I came across this Royal Caribbean blog article, Falling for Falmouth: An Expert’s Guide to Discovering the Beauty & Adventure of our Newest Port!, which provides more information about the history and the transformation into this new cruise port which should revitalize the area. The Historic Falmouth Cruise Port is serving as a catalyst for the town's rehabilitation and beautification as well as raising awareness of the importance of documenting and preserving Falmouth's history for future generations. The U.S. State Department still has an alert on travel to Tunisia despite some stabilization of the unrest. It warns that work stoppages and demonstrations could prove bothersome or dangerous for tourists. Meanwhile, two cruise lines recently made calls in Tunis - Holland America's Eurodam and AIDA's AIDAbella were greeted by the locals with festive music and roses. The remaining cruise lines have not altered their original plans of skipping Tunisia ports this season. Due to the critical situation in Bahrain, Costa Cruises informs you that the itinerary "Jewels of the Emirates" has been modified to exclude the call in Bahrain City. Will be included an additional night/day in Muscat, Oman. Bahrain joins Egypt and Tunisia as countries of political unrest. The violent uprising has prompted government response and cruise line reaction. Tanks roamed the streets in Bahrain as the government cracked down on anti-government protesters. Public gatherings were banned Thursday as violence escalated. Five protesters were killed and hundreds wounded during the rioting. Violence prompted Costa Cruises to alter cruises on two ships in the area. Costa Luminosa and Costa Deliziosa are currently sailing Middle East cruises out of Dubai and will sail modified itineraries this week. Planned calls to Bahrain City will be replaced by an extra day in Dubai. Further modifications are expected for next week's sailings, but details were not currently released. Princess Cruises announces a dramatic change for Grand Princess this spring. During a 24-day makeover the ship, which was the prototype for the line's "Grand Class" vessels, will undergo a remarkable renovation to receive many of Princess' trademark features introduced since the ship's 1998 debut including the signature Piazza atrium. Several new features will be also be added including a unique tea lounge and library called "Leaves"; and "Alfredo's," a full-service pizzeria showcasing this renowned Princess dish. A brand new nightclub called The One5, inspired by its deck location, will be created on the top deck of the ship, replacing its iconic Skywalker Nightclub, which has given the ship its distinctive profile. Skywalkers will be removed from its 18th deck perch, with its replacement located on deck 15. This change will significantly improve the operational performance of the ship, including greater fuel efficiency. "This is the largest makeover we've ever undertaken for any of our ships," said Jan Swartz, Princess Cruises executive vice president. "When Grand Princess was launched she was the most innovative ship at sea, and now we're adding some of the later innovations we introduced on subsequent ships." Also part of the renovation will be seven new suites; remodeled casino, boutiques and art gallery; enhancements to the Horizon Court, Lotus Spa, and wedding chapel; and the addition of Crooner's Martini Lounge. 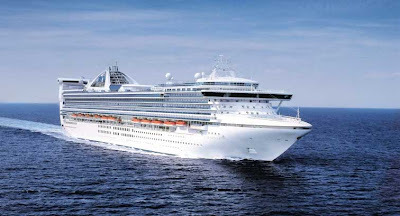 The renovated Grand Princess will return to service May 5th in Fort Lauderdale, Florida, for a transatlantic crossing to Southampton, England. 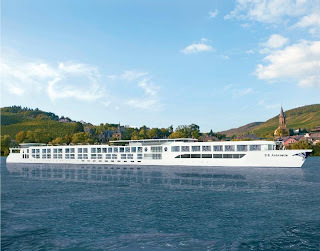 This will be the homeport for summer and fall sailings in Europe. UPDATE: February 16th: Could cost up to $100M to rebuild the damaged downtown stores. 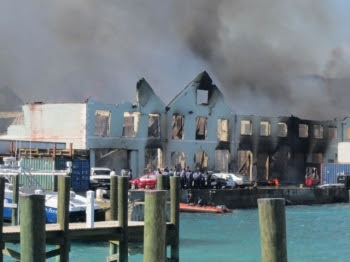 According to The Tribune, fire broke out at Kelly's dockyard around 7:45 AM Monday and spread to nearby buildings east of the Bacardi Store on Bay Street and East Street. Firefighters finally contained the blaze after about 8 hours, but not before several buildings were completely destroyed and several others suffered damages including Green Parrot Crew Pub, the Bacardi Building, the old John Bull Store, and Betty K Agencies Ltd. According to police reports the entire block of buildings affected by the fire have been extensively damaged and are not salvageable. Tribune photographer Felipe Major was injured in the blaze after falling off of the Bacardi Building's balcony. The Tribune posted Felipe Major's Photo Album of the Fire (click to see amazing photographs of this tragic fire). Felipe is being treated at Princess Margaret Hospital and has been put on a ventilator to clear his lungs of smoke. Speedy recovery, Felipe. The Tribune posted a time line of the day's events and will be providing an update in tomorrow's edition. For more information on the fire, see Fight to control downtown fire. Also see Blaze in downtown Nassau destroys several buildings and threatens others [NEW PHOTOS] which was published by Bahamas Island Info. When passengers on Disney Dream and Carnival Glory arrived in Nassau, Bahamas, early this morning, they thought they were about to disembark on a pleasant day in this charming island town. Instead, they were kept from disembarking the vessels until it was deemed to be safe. Both ships extended their stays to allow passengers time in port. Carnival Cruise Line, Disney Cruise Line, Norwegian Cruise Line, and Royal Caribbean International all have ships calling in Nassau, Bahamas this week. At this time there is no word of itinerary changes as a result of the fire. We will bring you updates should that become necessary. We thank the Tribune for their excellent coverage of this fire. We hope that Felipe recovers from his injuries. Our hearts go out to all that were impacted by today's fire. Royal Caribbean Cruises, Ltd. has signed a letter of intent with shipyard MEYER WERFT to build the first of a new generation of Royal Caribbean International cruise ships. Developed under the code-name “Project Sunshine,” the new vessel design incorporates new and exciting features that take advantage of the best of Royal Caribbean’s experience and imagination. The project is a result of over a year of dedicated research and development. The order calls for one ship to be delivered in the Fall of 2014 with an option for a second ship for Spring 2015. The 158,000 Gross Registered Tons (GRT) new build will carry just over 4,100 guests based on double occupancy. The estimated all-in cost per berth is about €170,000. This all-in cost includes the yard’s base contract price plus everything needed to design, operate and build the vessel, from architect fees to supervision costs and all loose inventories from computers to art and bed linens. “Royal Caribbean has worked hard to earn a reputation of offering the most innovative ships in the cruise industry and this next generation will not disappoint,” said Richard D. Fain, Chairman and CEO of Royal Caribbean Cruises, Ltd.
“While we continue our policy of keeping our newest ideas and features under wraps during the early stages of construction, I can say that I am very excited about the passion and imagination that our teams have devoted to the project. Project Sunshine builds on the best ideas of our existing ships and adds exciting new activities and entertainment concepts. It will offer features for everyone: from grand, spectacular spaces to small intimate settings; from active, invigorating activities to the serenity of more personal space; and from a plethora of dining alternatives to a cornucopia of opportunities for families. I am also excited about the energy efficiency and environmental technologies which have been incorporated. Our existing ships are some of the most energy efficient in the world and Project Sunshine takes this one further step." "MEYER WERFT is pleased to be working with Royal Caribbean especially in light of their reputation for building such innovative ships. I am very happy we are continuing our long time partnership with Royal Caribbean Cruises Ltd. and its brand Royal Caribbean International. Their projects always present incredible opportunities for MEYER WERFT to create the latest cutting edge hardware in the cruise industry,” said Bernard Meyer, managing partner of MEYER WERFT shipyard. 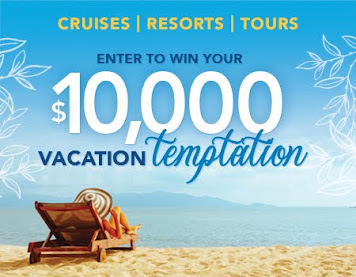 Watch for more news as Royal Caribbean International releases details in the months to come. The S.S. Antoinette will be Uniworld's largest ship length wise at 443 ft. and at a width of 37.5 ft. This March this newly built super vessel will be seen cruising the Rhine River. The ship was built at the De Hoop shipyard in the Netherlands. The S.S. Antoinette is a highly customized vessel with several unique features. All top deck suites and staterooms offer full open-air private balconies that, with a touch of a switch, will raise the glass to create a completely enclosed conservatory. All staterooms throughout the ship will have their own LCD flat-screen infotainment center, including movies-on-demand, music, news, sports, hotel services, and more. And each suite has an extra TV located on the balcony. Guests can enjoy the first 20-seat movie theater on a river cruise ship equipped with a state-of-the-art flat screen with Dolby surround sound. Surround sound is also a feature that can be found as guests swim in the inviting, blue-tiled mosaic, heated swimming pool. With a water depth of five feet, guests can listen to underwater music being piped in as they swim. The swimming pool together with the Serenity River Spa™ and fitness center, provide a host of options for guests to maintain their overall well-being throughout their trip. Have you been to Walt Disney World in Florida and gone to one or more of the water parks there? Perhaps you've been to River Country, Typhoon Lagoon, or Blizzard Beach? If not, maybe you've been to a local water park in your area. If you have, I suspect you have some pleasant memories of those times splashing in the water, going down water slides, or just relaxing on a lazy river ride. Speaking of splashing, have you ever ridden on Splash Mountain in Disneyland or Walt Disney World? AquaDuck is a thrilling "water coaster," whose entrance is on Deck 12, Aft aboard the Disney Dream. In a cruise industry first, Guests are propelled at high speeds from Deck 12, Aft through an acrylic tube on a breathtaking journey up, down, around and off the side of the ship, through the Forward Funnel and—following a mammoth drop—into a lazy river. Developed by the Disney Imagineers, this elevated water coaster—the first of its kind at sea—travels 765 feet and features an exciting 4 deck drop. It was designed for Adults and Children at least 48" or taller. AquaDuck affords breathtaking views of the ocean and ship below—that is, if you're brave enough to keep your eyes open during this exciting ride! 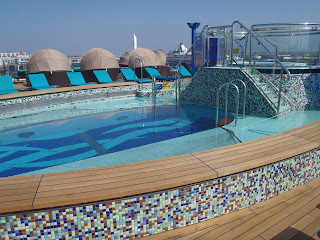 It also offers a bird's-eye view of the exciting new pools available to family, kids and adults on the Disney Dream. The AquaDuck water coaster boasts a thrilling 4-deck drop and safely carries Guests over the side of the ship and back. AquaDuck is the first water coaster on a Disney Cruise Line ship—or, for that matter, any cruise ship—setting the standard for height, length and excitement. Be one of the first to enjoy this new attraction onboard Disney Dream or plan now to be one of the first to try the AquaDuck on her sister ship, Disney Fantasy, when she starts sailing in 2012. 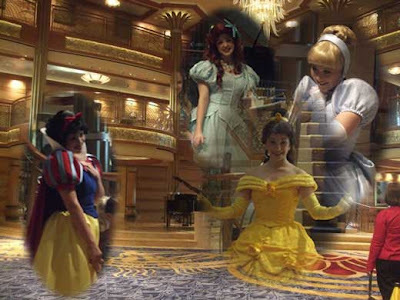 In this picture, Cinderella and Arielle look on as Beauty and Snow White enter the Disney Dream's atrium. Could this really be happening or is this a dream? You'll just have to take a cruise on Disney Dream to see for yourself. Little girls often want to become princesses and grow up to ride off into the sunset with their prince charming. Even if they don't want to be princesses themselves, they would love to meet a princess. On Disney Dream your little girl will be able to meet their favorite Disney princess and have their picture taken with them. If they want, they can even dress up like a princess and make believe they have grown up and their dreams have come true. Watch as they faces light up with joy when they meet their favorite story-book characters. For those of you who have been to Disney World or Disneyland, you may think for a minute that you are on Main Street when you walk aboard and enter the atrium. The similarities are there. Captain Mickey and his friends are there to meet you and welcome you to their ship. The entire crew is there to make your stay magical. Throughout the voyage there are special surprises including a Pirates in the Caribbean party and fireworks. There is truly something for everyone on a Disney cruise. Disney Dream, which just began sailing in January, is the latest addition to the Disney family. Here sister ship, Disney Fantasy, is currently under construction by Meyer Werft. We'd like to thank our agent friend, Cheri Severino Diekhaus, who shared some of her images from her sailing last month, so that we can take you onboard the Disney Dream in our blog and FB posts. Stay tuned for more information and pictures from Disney Dream. Papenburg, Germany was the site of today's keel laying ceremony for the Disney Fantasy, sister ship to Disney Dream. The new ship is being built by Meyer Werft shipyard. Officials from Disney Cruise Line and Meyer Werft were onhand today for the lowering of the first section of the new Disney Fantasy into the building dock. 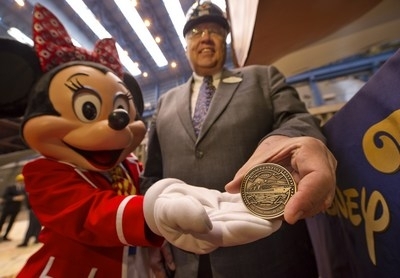 Placing the coin was Karl Holz, President of Disney Cruise Line, assisted by Minnie Mouse. 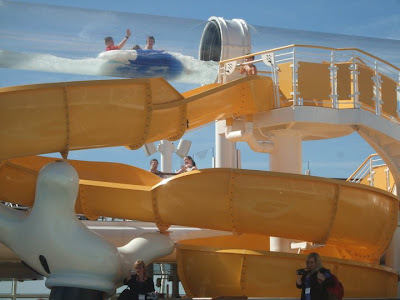 The Disney Fantasy will offer many of the innovations that her sister ship, Disney Dream, features and brought to the cruise industry for the very first time, including AquaDuck -- the world’s first shipboard water coaster. However, the Disney Fantasy will feature a few new design elements and guest experiences that will give the ship a unique identity all her own. 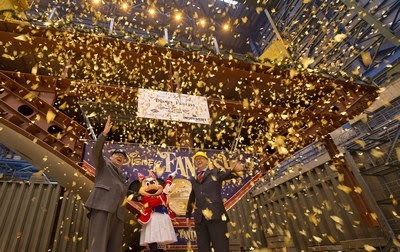 The 4,000-passenger Disney Fantasy will sail week-long Caribbean cruises from Port Canaveral, Fla. with its maiden voyage scheduled for March 31, 2012. Disney Dream entered service this January and early voyages quickly sold out. Anyone wishing to sail on Disney Dream or Disney Fantasy should consider booking now so that they won't be disappointed. We will continue to bring you news about the new Disney Fantasy and follow her construction. 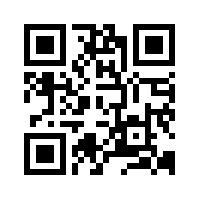 Be sure to visit here and also our FB fan page to be kept up to date on progress. The UK Foreign and Commonwealth office modified the advise against all but essential travel to Tunisia. Despite the change, cruise lines are still being cautious and have modified itineraries. Due to unrest in Tunisia, SeaDream Yacht Club has revised the itinerary for SeaDream II voyage # 21120 sailing May 18 - 28, 2011 from Rome (Civitavecchia), Italy roundtrip. The port of La Goulette (Tunis), Tunisia has been replaced with Xlendi, Gozo Island, Malta. SeaDream's yachts drop anchor and stay overnight at destinations including the Eastern Caribbean, The Mediterranean, Northern Europe and the Amazon. 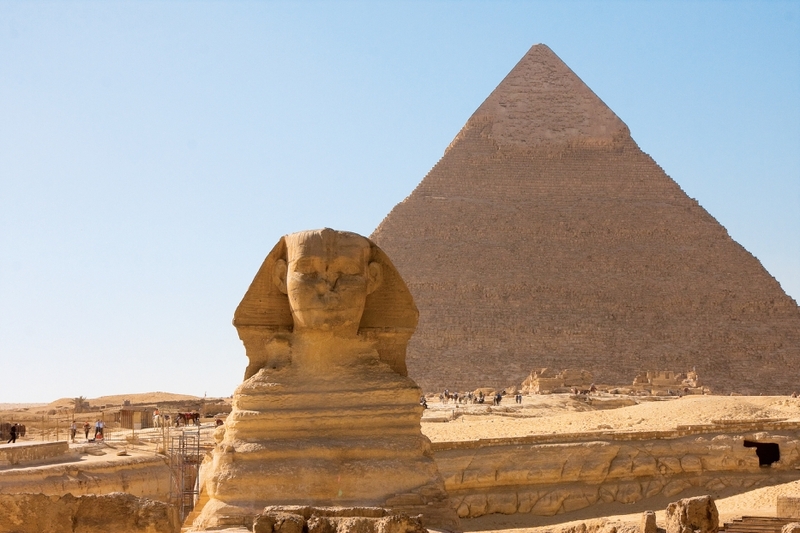 Royal Caribbean International, Celebrity Cruises and Azamara Club Cruises have been closely monitoring the situation in Egypt. The safety and security of our guests and crew members is always foremost in our minds. Due to the uncertainty in Egypt, and in an abundance of caution, we have decided to cancel additional port calls to Egypt for Royal Caribbean International through November. Click here to view itinerary changes. Costa Cruises today extended its previously announced cancellation of calls in Tunisia and Alexandria, Egypt through the end of the year and also dropped calls in Israel, blaming the uncertainty in the region. Azamara Quest, which sailing begins in Dubai, United Arab Emirates on Sunday, April 24, 2011 will no longer call on Alexandria, Egypt on Wednesday, May 4. 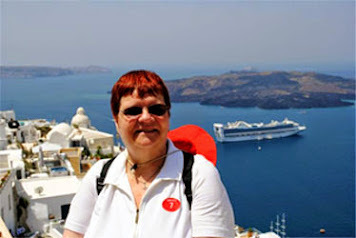 Instead, the ship will now spend Wednesday, May 4 at sea and call on Santorini, Greece on Thursday, May 5 from 8:00 a.m. to 6:00 p.m.
Azamara Quest, which departs Athens (Piraeus), Greece on Friday, May 6 will no longer stay in Alexandria, Egypt overnight from Thursday, May 12 to Friday, May 13. Instead, the ship will now overnight in Rhodes, Greece from Tuesday, May 10 at 1:00 p.m. until midnight on Wednesday, May 11, spend Thursday, May 12 at sea, and call on Paphos, Cyprus on Friday, May 13 from 7:00 a.m. to midnight. Azamara Quest, which departs Haifa, Israel on Monday, May 16 will no longer stay in Alexandria, Egypt overnight from Thursday, May 19 to Friday, May 20. Instead, the ship will now spend call on Paphos, Cyprus on Thursday, May 19 from 7:00 a.m. to 7:00 p.m., overnight in Rhodes, Greece from 1:00 p.m. on Friday, May 20 until 5:00 p.m. on Saturday, May 21. Mariner of the Seas, which departs Rome (Civitavecchia), Italy on Monday, April 18 will no longer call on Alexandria on Sunday, April 24. Instead, the ship will now call on Istanbul, Turkey, on Saturday, April 24 and stay overnight until 7:00 p.m. on Sunday, April 25. Mariner of the Seas, which departs Rome (Civitavecchia), Italy on Wednesday, May 11 will no longer call on Alexandria on Wednesday, May 18. Instead, the ship will now spend Monday, May 16 at sea, stay overnight in Istanbul, Turkey from 7:00 a.m. Tuesday, May 17 until 7:00 p.m. Wednesday, May 18 and call on Ephesus (Kusadasi), Turkey on Thursday, May 19 from 10:00 a.m. to 7:00 p.m.
Mariner of the Seas, which departs Rome (Civitavecchia), Italy on Saturday, June 4 will no longer call on Alexandria on Saturday, June 11. Instead, the ship will now call on Istanbul, Turkey, on Saturday, June 11 and stay overnight until 7:00 p.m. on Sunday, June 12. Mariner of the Seas, which departs Rome (Civitavecchia), Italy on Tuesday, June 28 will no longer call on Alexandria on Wednesday, July 6. Instead, the ship will now call on Istanbul, Turkey, on Wednesday, July 6 and stay overnight until 7:00 p.m. on Thursday, July 7. 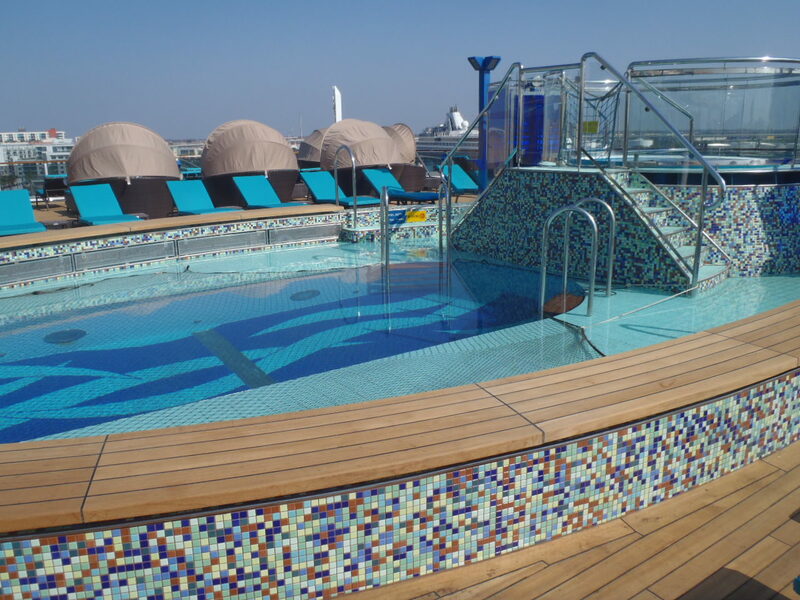 Brilliance of the Seas, which departs Dubai, United Arab Emirates on Thursday, April 12 will sail a modified itinerary. The cost of any shore excursions in a cancelled port, which were purchased through Royal Caribbean International, will be refunded to the form of payment used. Guests who booked shore excursions whose call date has changed, through Royal Caribbean International, will have those reservations transferred to the new day of the port call. Our shore excursion staff onboard can assist guests regarding activities in any new port of call. We will continue to closely monitor the changing situation in Egypt and will contact guests or their travel agents should we make any additional modifications to upcoming itineraries. Last November, Carnival Splendor experienced an engine fire that would put her out of service for several months and cost Carnival Corporation millions of dollars in repairs and lost revenue. Fortunately, there were no serious injuries or loss of life in the fire. Carnival Splendor's comeback journey follows. After being towed back to San Diego, Carnival Splendor's fire investigation and repair work began. A replacement engine would be needed, which caused additional down time for the ship. Since the ship was originally built in Italy, it was necessary to have the replacement engine manufactured there and shipped back to California, where it would be installed in a dry-dock facility in San Francisco. It was necessary to cut a hole in the hull to remove the damaged engine and replace it with the new one. John Heald, Carnival's Senior Cruise Director, will join the ship for the sea trials and host the special event February 19th. Carnival Corporation officials asked John to do the honors since he was the calm voice that passengers and crew heard that fateful day in November when Alpha, Alpha, Alpha woke up passengers and crew early that morning.